Happy Birthday itsaslashything and el_elle_8! I love this. 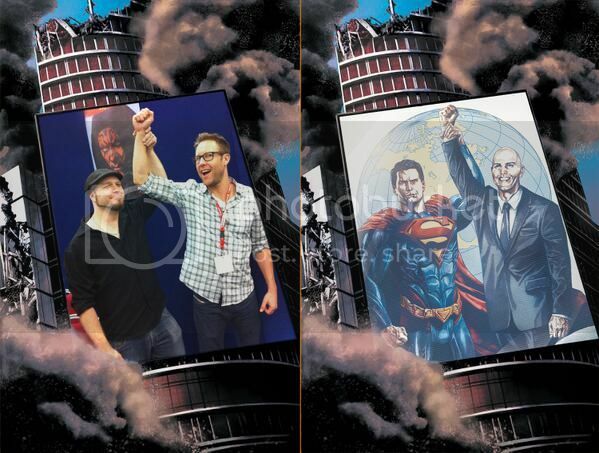 Michael re-enacts the cover of Injustice #8 comic with its writer Tom Taylor! Thank you for the birthday wishes! And for the pic of Michael...that can turn any day around! Michael probably doesn't know about the comic book but "yes, I'll hold your hand, stranger!"